This page is for those who want the instructions to apply an inside reverse-fold in origami. Inside reverse-fold is always applied to a folded corner flap. It reverses the face of the corner flap to show the inside of the flap. 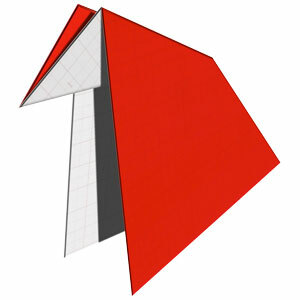 This technique is being frequently used for many origami models. It is essential to know how to apply this folding technique.